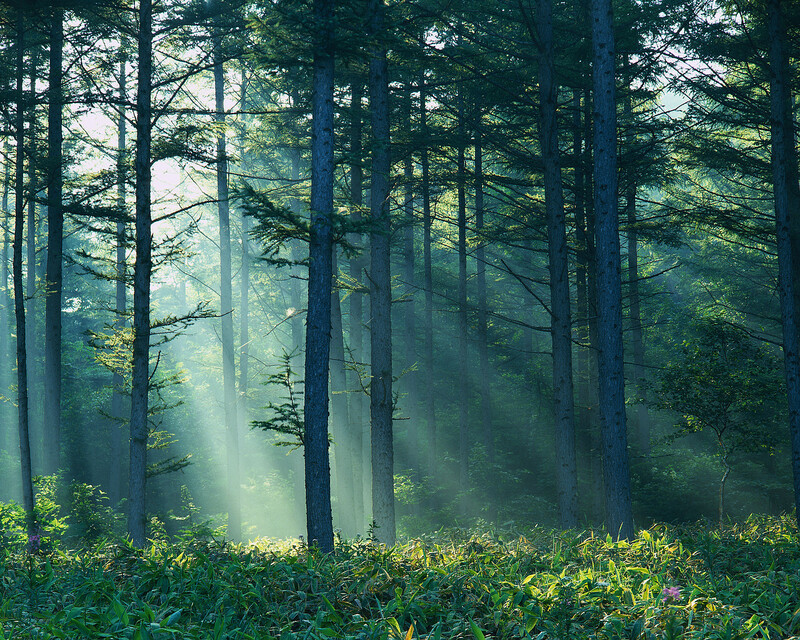 Mysterious light finds its way through the forest canopy. The forest changes with the seasons so there is always a new perspective to discover. 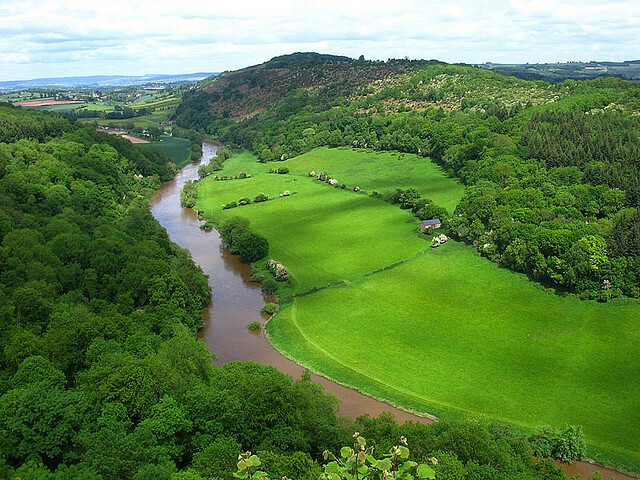 The classic view from Symonds Yat Rock across the Wye to Coppet Hill and Goodrich Castle beyond. One of the top tourist stops in Herefordshire and only 7 miles from Anne's Cottage. 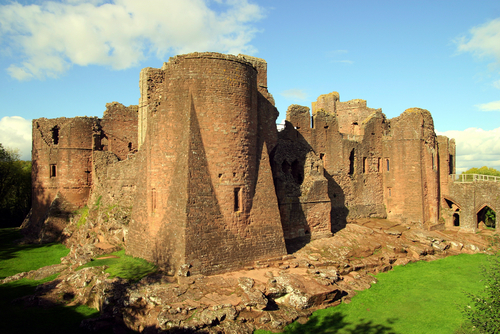 Goodrich Castle is just under 3 miles away from Anne's Cottage. It is just one of many castles in the region. Even Ruardean had a fortified manor house, but all is left is now a few slabs of stone. A truly amazing place with some very unreal qualities lies a short drive away from Anne's Cottage. The site of ancient iron ore extraction, the geology is quite fascinating. Deep ravines with their own eco-system and flora and precipitous cliffs of limestone. It is heavily featured in the TV series 'Merlin'. It will also star in the new Star Wars movie due to be released in 2015. 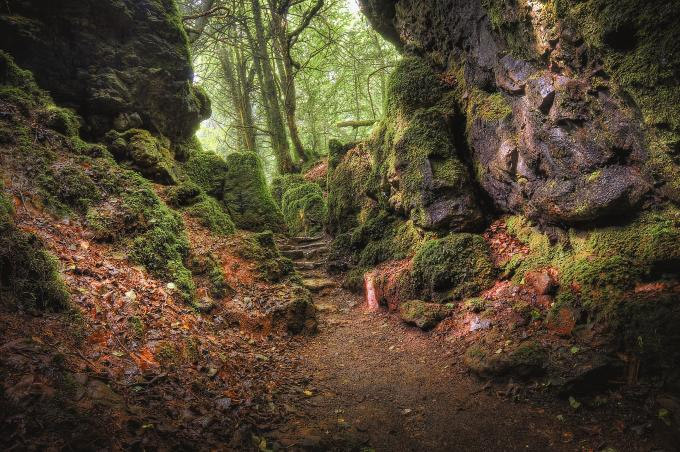 Puzzlewood is a must for all age groups. 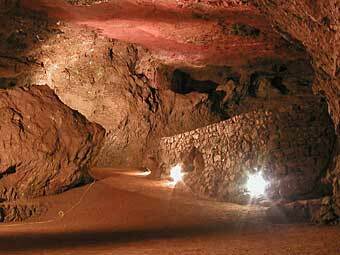 Forest of Dean's Iron Mining Museum and Caves. You will see why television programmes like Dr Who and Merlin have been filmed there! Want to try a 'sprinkle' of City & Town Life? 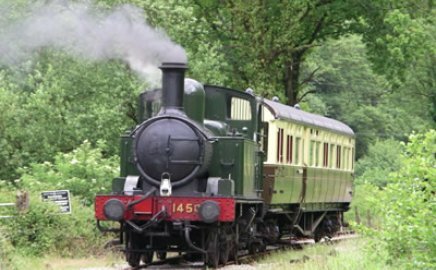 Why not take a magical 9 mile trip through the medieval forest to Parkend on The Dean Forest Railway. Experience the sight, sounds and smells of travel on a rural branch railway operated by steam trains - with some heritage diesel services.